GRAFENWOEHR, Germany — Distracted driving is a fact of life. So what can we do to minimize the risk of accidents? The driver’s primary responsibility here in Europe and abroad is to operate a motor vehicle safely. The task of driving requires full attention and focus. 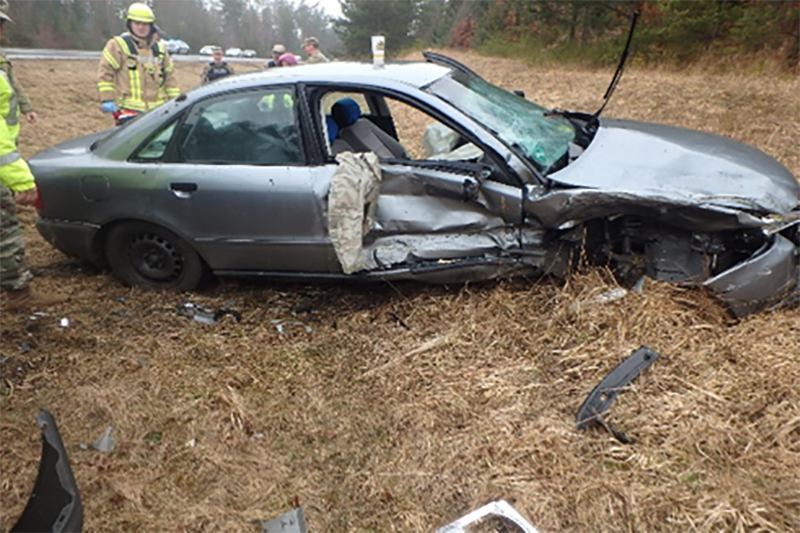 “For 2018 Military Police have written 71 citations for various distracted driving charges,” said Jason Kesselring, Operations Officer at U.S. Army Garrison Bavaria Directorate of Emergency Services. A common occurrence is a visual deficit, which entails taking your eyes off the road. Another is manual, such as taking your hands off the wheel. Last, but far from least, is cognitive, which means dozing off or simply taking your attention off what you’re doing: driving. Distracted while driving in Europe is really not a good idea. European driving goes from winding country roads to narrow cobblestone streets to roaring autobahns, where in places there is no speed limit. Whether you are downtown in the harrowing L’Arc de triomphe de l’Étoile in Paris, on the intoxicating Autobahn six (A6) rolling out of Kaiserslautern or forced to drive aggressively in the Piazza Venezia in Rome, drivers here in Europe have shorter reaction times. “Reaction is a person’s voluntary or involuntary response to a hazard. The normal time it takes from perception to reaction is 1.6 seconds,” said Kesselring. He also said this may vary depending on age, strength of stimulus, physical conditions, habits and perception delays. “Most European countries have laws that clearly state; Any use of a mobile phone (making and receiving calls without a hands-free kit, rejecting a call, texting and reading news, searching for data online) is forbidden when driving a vehicle” said Kesselring.